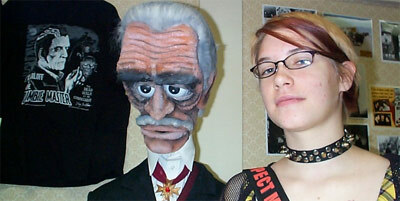 Kathy Burns re-created her character Miss Shock for Monster Bash 2005, with assistance from mad doctor/husband Bob Burns. 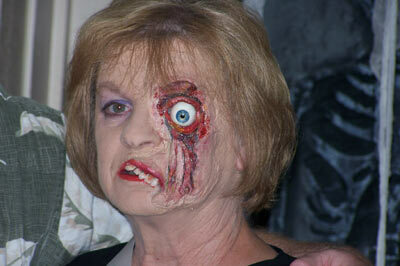 Kathy was on TV as Miss Shock 40 years ago....and she's back at Monster Bash! 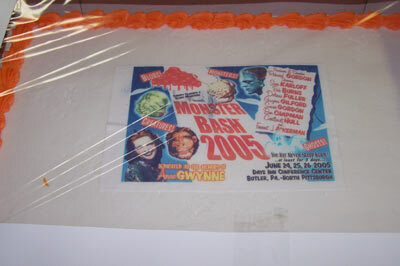 One of the Monster Bash sheet cakes for attendees on Saturday night. 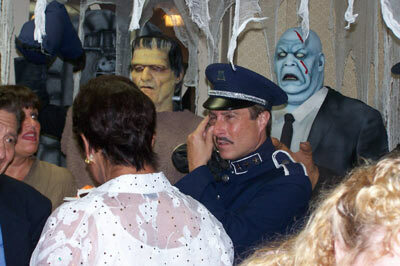 Inspector Krogh (Mark Statler) adjusts his monacle. 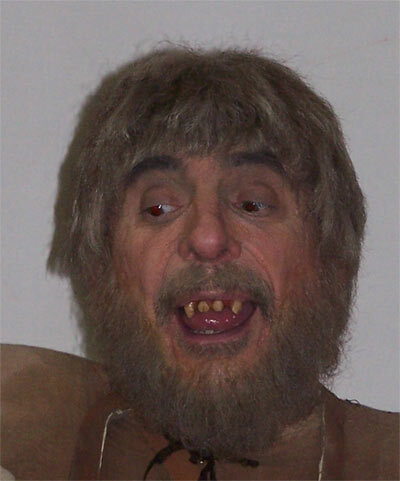 The hysterical Mike Thomas IS Ygor at Monster Bash. Whyyyy youuuuu! 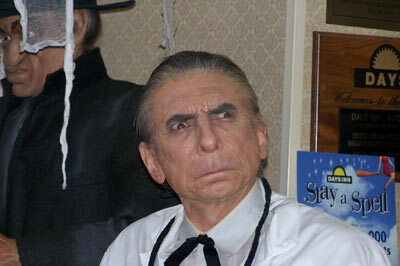 Mike Thomas again as Dr. Vornoff/Bela Lugosi from Ed Wood's BRIDE OF THE MONSTER! 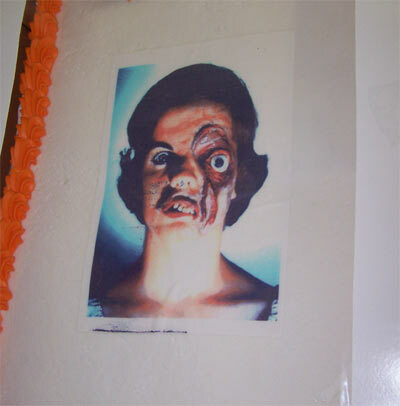 The sheet cake featuring Miss Shock (Kathy Burns). The giant Bash banner on the side of the hotel. Big Monster Kids on the Bash stage for the premiere of Monster Kid Home Movies - a Joe Busam heartfelt project! 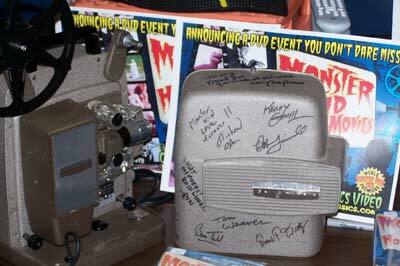 An autographed 8mm home movie projector - a real Monster Kid relic! 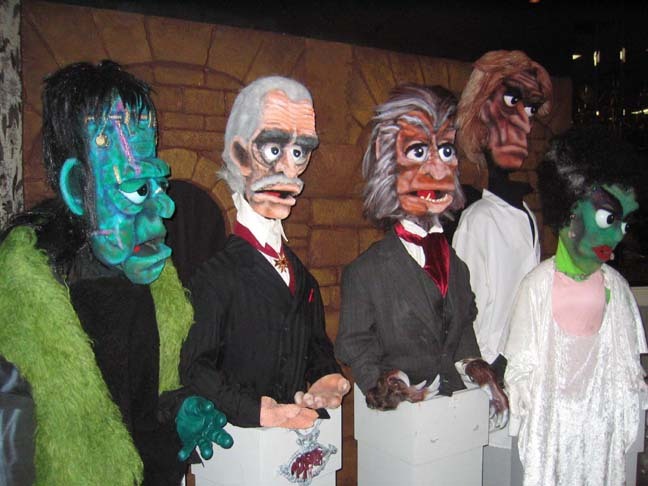 Monster TV muppets on display at Monster Bash. Part of Bill Diamond's Monster Kid TV program. 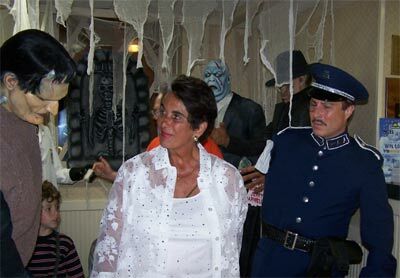 The monster, Donnie look-a-like, Sara Karloff and Inspector Krogh. 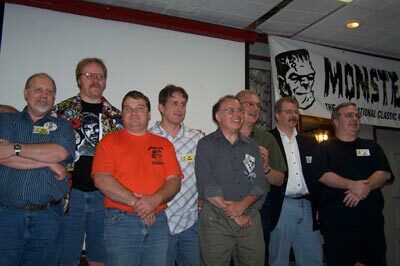 A SON OF FRANKENSTEIN character reunion. 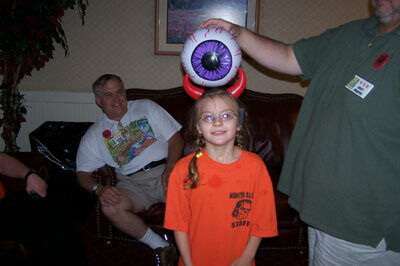 Uncle Boris and fan from Monster Kid TV at Monster Bash. 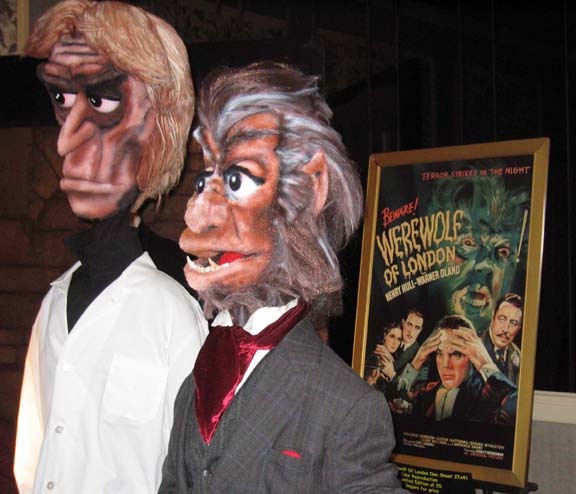 More figures from Bill Diamond's Monster TV at Bash. Eye see you! Paisley Adams at Bash. Attendee Charles Henson in background. 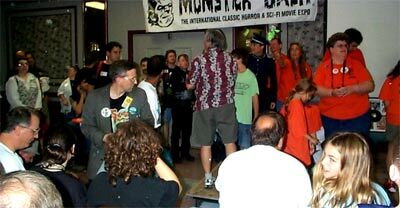 There was hardly any down time in the Monster Bash Movie Room with films and events. 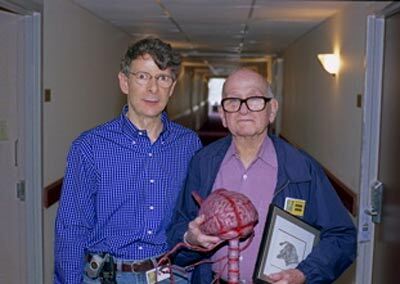 Attendee Phil Smoot hets to meet movie producer Richard Gordon and a "fiend." 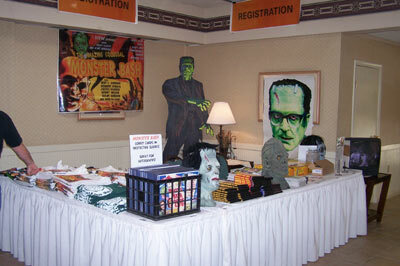 Registration at Monster Bash 2005. 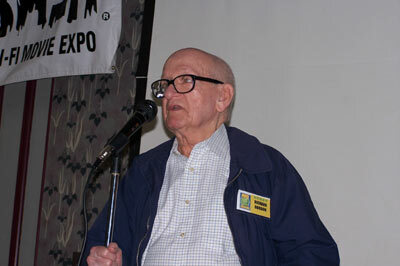 Producer of THE HAUNTED STRANGLER, CORRIDORS OF BLOOD, FIRST MAN INTO SPACE, FIEND WITHOUT A FACE and much more - Richard Gordon at Bash.